Protecting your pharmacy appropriately against theft and other forms of crime is essential if you want to deter potential offenders and keep your stock, prescriptions and premises secure. Crime is undoubtedly more common in some places than others, and a big pharmacy in the suburbs of a city may be more concerned about the threat to their business than a local village pharmacist. However theft and fraud is more common than you think, and can often happen under your nose if you don’t take due diligence as a business owner. It should go without saying that any business should install security alarms and CCTV, and as pharmacies usually hold thousands of pounds of stock at any one time it’s important to minimise the risk of burglary or robbery. But simply fitting these devices isn’t enough. You should take the time to ensure that these security measures are being harnessed to their full potential– spot checks of CCTV footage for example can help you deal with petty theft that you may not have even noticed. Meanwhile, any alarms or control systems should be routinely activated when your pharmacy closes on an evening. It isn’t just the criminal on the street that you should be safeguarding against when protecting your business from theft. Employees commit a significant amount of pharmacy fraud and crime; this can range from small takings from stock to more serious offences such as prescription duplications. This type of crime can be much harder to spot, but when repeated over a long period of time even the occasional missing prescription can soon add up. Checking CCTV footage is one way of catching employees who are up to no good, but regular stock checks should help you identify any gaps in the jigsaw. Be sure to log any incidents where prescriptions, cash or medicine has gone missing. Meanwhile by keeping a rota logging who is responsible for certain tasks (such as receiving deliveries), you will make employees accountable for their duties. 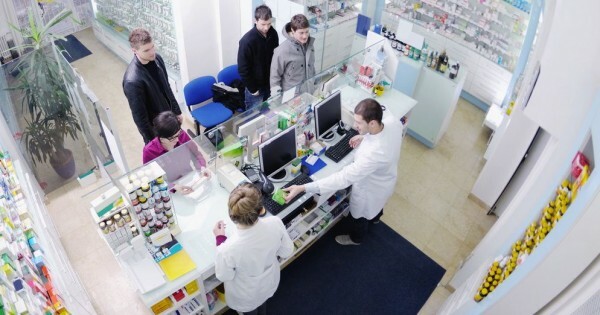 Active prevention measures can go a long was in deterring crime and fraud, but to ensure that your business is fully protected against such incidents it’s essential to invest in a comprehensive pharmacy insurance policy. From missing stock to broken windows, you can have peace of mind that in the event your pharmacy is targeted, you won’t have to bear the cost. Prevention is better than cure, and an affordable monthly plan could save you a lot of time and hassle if ever you do need to make a claim. Safeguard your livelihood and feel confident that you have taken action to nip crime in the bud by following the above measures to keep your business secure. Whether you own a small local pharmacy or a growing chain, protecting your premises and stock should be an ongoing priority. Don’t think about sorting out all this after it is too late, you must make this a priority now. This article is written by Kelly Gilmour Grassam, a freelance copywriter from Yorkshire. You can follow her on Twitter at @KellygGrassam. This article has been written with helpful information from Pharma Protect.